The ugliest shoes in the world just keep getting uglier. 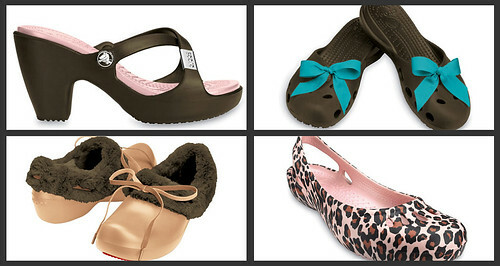 I had no idea there were so many ways that Crocs can continue to horrify me. What is their women's designer smoking? Seriously. Even though there's 100 million pairs of these hideous shoes out there, when they're charging $50 for HIGH HEELED CROCS, it's no wonder the company is facing financial woes.